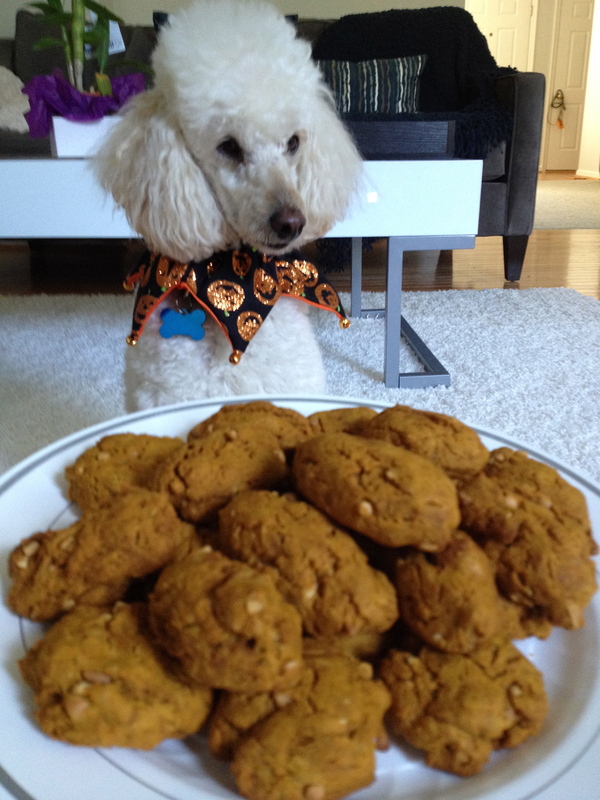 Last year when we baked pumpkin peanut butter cookies for our pooch Jasper, he went crazy, over-the-moon, happy over them, so this year, we decided to share the goodness and happiness with you! For those of you who don’t like to bake because it involves too much science, don’t worry! This recipe requires few ingredients and is easy to make. So even if you mess it up, your pup will still appreciate the love. Also, it will make your house smell delicious, so you still win. 2. Whisk together flour, baking powder, pumpkin, peanut butter and cinnamon in a bowl. 3. Add water as needed, but the dough should be stiff and dry. 5. Bake for about 40 minutes, or until hard. 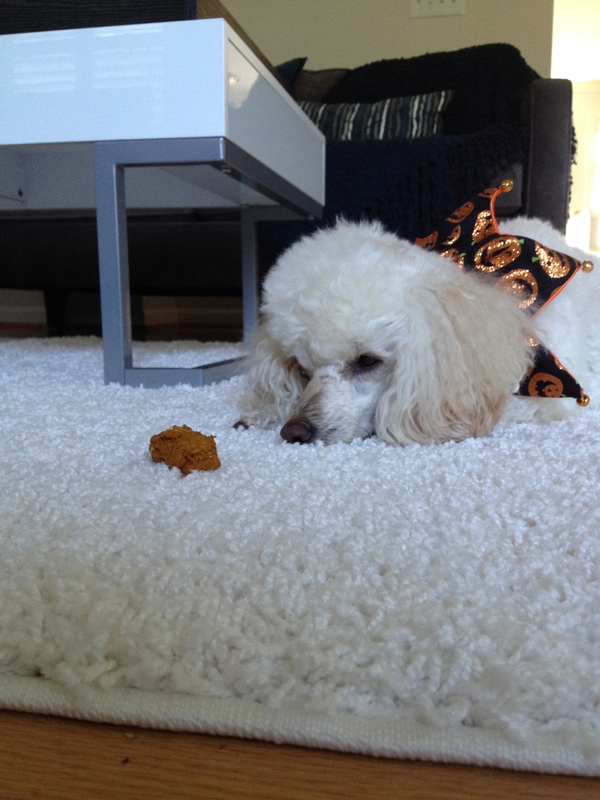 Let the treats cool completely, then watch as your pup gobbles them down! We won’t judge you if you’re tempted to try them, too. Go ahead and share one with your best furiend! These will be great to have on hand for any furry trick-o-treaters who come knocking this year! You can package them up in cute jars for a fun holiday gift, too. Just swap out the Halloween cutters for Christmas ones, and they’d make a pawfect stocking stuffer for the ones you love most. Special Note: These treats should not replace your pet’s regular meals. Please check with your veterinarian if your pet has special dietary needs or food allergies.